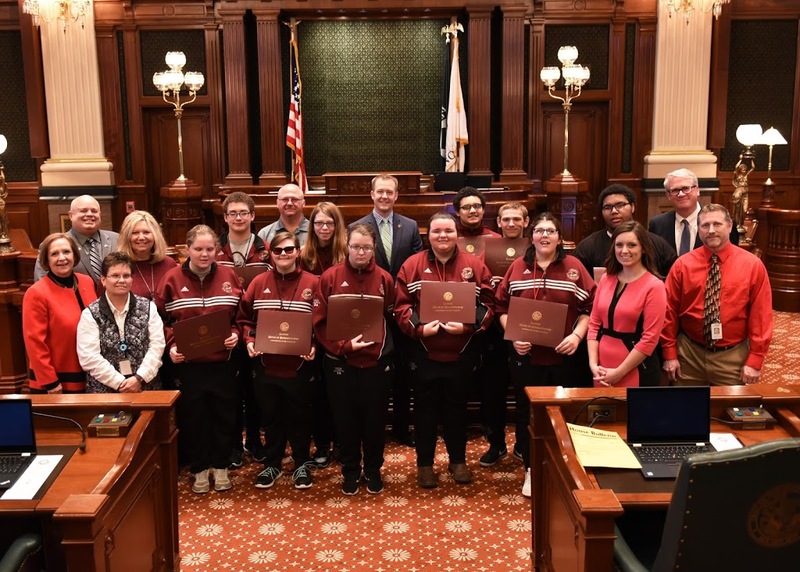 The IL School for the Visually Impaired (ISVI) Goalball Teams are pictured on the IL House Floor with Representatives Hammond, Swanson, Davidsmeyer and Republican Leader Durkin. The ISVI girl’s goalball team won first place in the North Central Association of the School for the Blind Goalball Conference. The boy’s took second place.